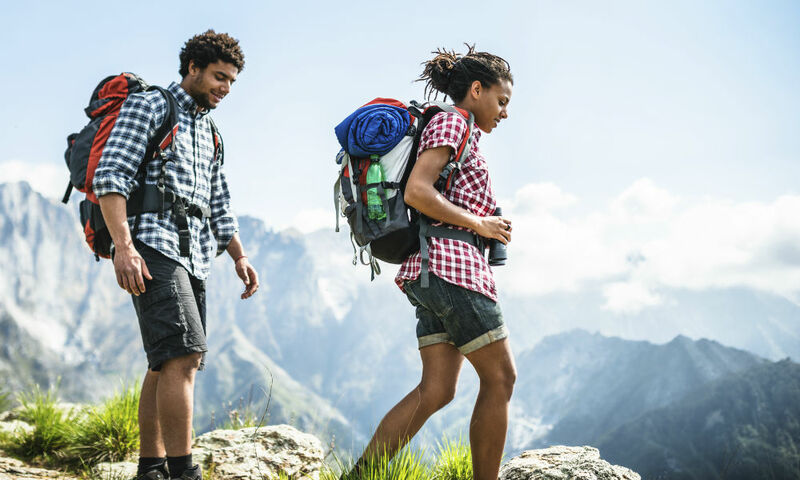 News flash: You should hike for health and happiness. Reduce anxiety and improve memory. Researchers in a Stanford University study found people who walked for 50 minutes in a natural area had lower levels of anxiety and performed better on some memory tasks than those who walked in urban locations with high traffic. Lower the risk of mental illness. The same Stanford researchers also found that nature hikes led to less negative, self-defeating thoughts and less activity in an area of the brain associated with mental illness and depression. Manage stress better. Participants in England’s Walking for Health program experienced fewer signs of depression and negative effects caused by life’s stressful events. Increase energy. One study found workouts done in nature were associated with increased energy and decreases in tension, confusion, anger, and depression. American Trails, a national, nonprofit organization, has extensive state-by-state lists to help you find a trail in your neck of the woods. Canadian Trails are listed, too.